October 7th is known officially as 'National Bathtub Day' to commemorate the introduction of the bathtub in England in 1828. Paul Rudolph's contribution to the history of the bathtub may be best remembered as the Lucite tub that looked down into the kitchen at his residence at 23 Beekman Place. 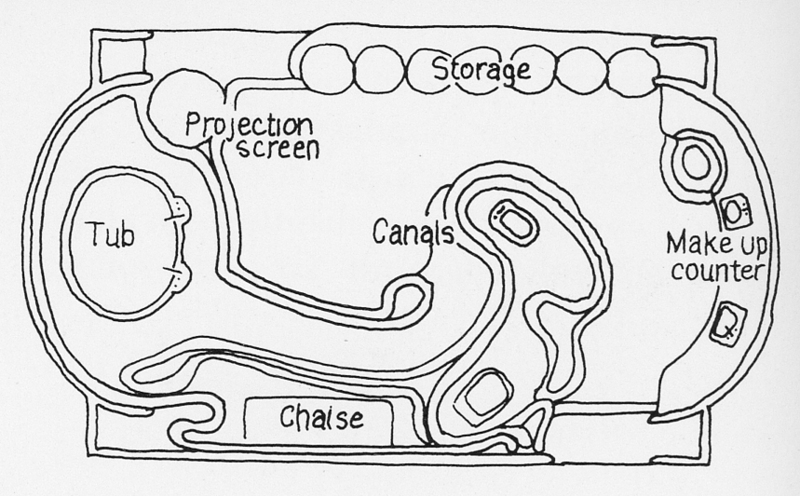 What's not as well known is Rudolph's design for two bathrooms that appear in the book 'Sensuous Spaces' by Sivon Reznikoff. 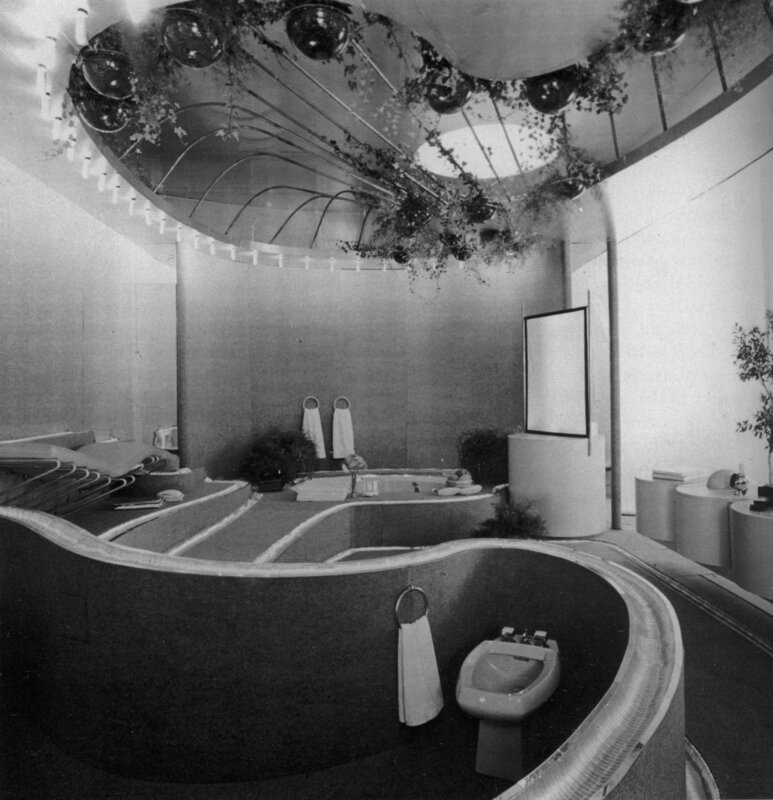 In the mid-1970’s Paul Rudolph, the world renown architect, was commissioned to design a futurist bath. Recognizing the difference in bathing rituals performed by men and women, combined with the belief that we all need some time alone, he set out to design two baths that are now considered classics of sensuality. 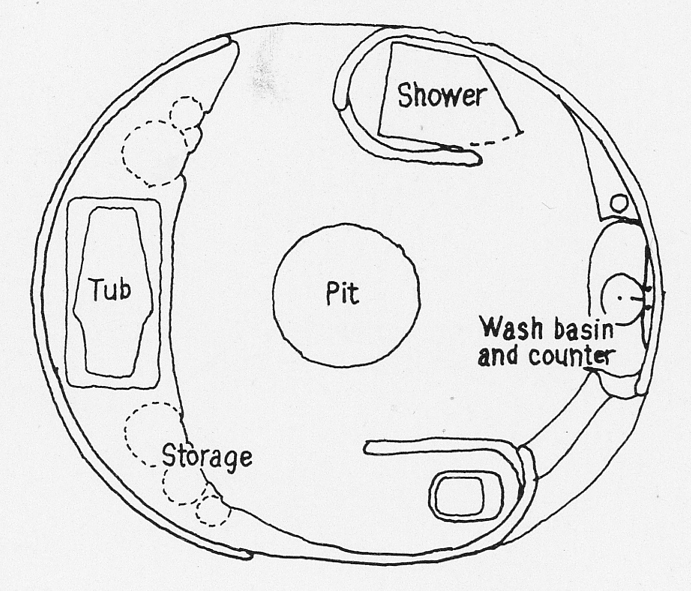 The bath designed for the female involved a very complex use of space. A gentle downward sloping floor simulates a natural outdoor setting complete with a running stream. Water is continually recycled through aluminum pipes embedded into an earth-colored carpet. The natural landscape concept is enhanced by the addition of smooth rocks and soft sponges strategically positioned to allow contact with bare feet. The low partition in the center of the room shields the bidet. A skylight centered within a copper dome allows a restful golden glow to wash the entire space. The large luxuriant tub and a screen for viewing films placed nearby produce an irresistible setting for relaxation. A contoured reclining lounge attached to the wall provides a place to read or enjoy the sun lamps installed above. Circular storage containers are placed along one wall and on another end a makeup counter was surrounded with small round mirrored disks that simulate a sparkling water surface. 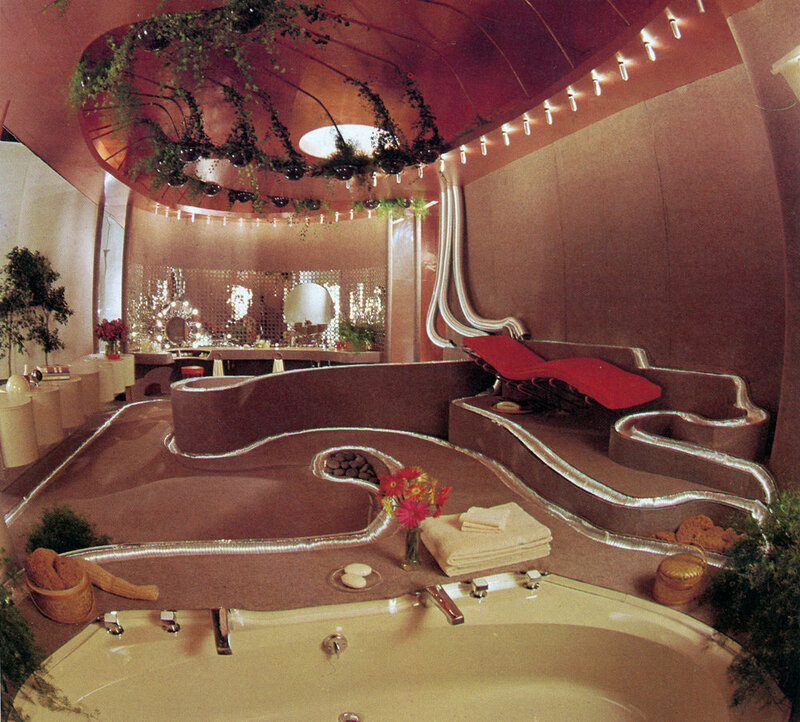 Although the bath designed for the male was organic in form, it did not attempt to simulate the romantic natural setting provided for the female. The large skylight highlights the circular trapeze exercise bars placed directly under the dome. Copper sheeting is used both in the dome and throughout the space. A raised platform that runs along one wall contains the tub and also houses recessed storage. Lights concealed in the bottom of a circular pit built into the center of the floor are reflected in the soft copper color of the walls and ceilings. Intended to simulate the warmth of glowing coals in an open campfire, it provides an inviting place to relax. When the pit was not in use it was covered with an exercise pad.